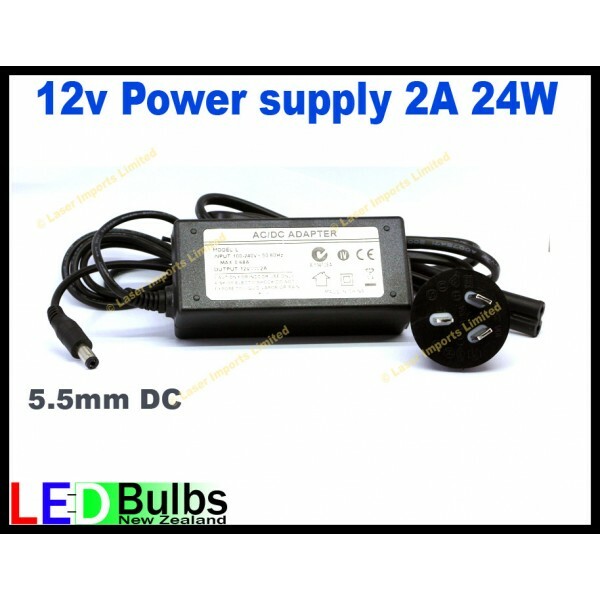 You are buying 1x 12V DC desktop power supply. Great for use with our 3528 type strip lights, this will run 5m of the 3528 strip light that we sell. It can also be used with routers, modems, cctv cameras, Charging devices or anything that uses a 12V power supply with the same plug and does not need more than 2A. Please ensure this is rated and fits your device. Sorry we do not accept returns on these if you have brought a power supply that is not suited for your use. See our other listings for led strip lights, led interior lights and connectors.